- Please wait for ±10 seconds until the links are fully loaded... *do wait for another 10 'til they really are. - Please use a decent speakers or earphones to listen. We would like to thank all musicians, singers, composers, conductors, and project managers who have entrusted their work to ArtSound Studio Jakarta. Without you all, our studio is just a pile of cold equipment and meaningless absorbers. In 2018, we did 1.986 hours of recording time, were involved in 16 concerts, hosted 2 piano 'mini-concerts', 1 drum workshop, dozens of video shooting sessions, and of course did many mixing-mastering projects, including orchestra for 2018 Asian Games’ Opening and Closing Ceremony. Surely, the year of 2018 makes us happily sweaty. . Here are some pictures of some of the sessions we did in 2018. Music: “Flag Handover” Asian Games 2018. Recorded by Jan Holzner @janholzner at Smecky Music Studio Prague. Written by Lucky Heng, Ma Shang You. Original Soundtrack - Feather Flies to The Sky. Mixed & Mastered @ ArtSound Studio 3 by Aryo Seto. Recorded @ ArtSound Studio 1 by Hardi. ​Mixed & Mastered @ ArtSound Studio 3 by Aryo Seto. Extrakurikuler Musik SD HIGH SCOPE Kelapa Gading; BAMBOOCHESTRA, memainkan lagu DRAG ME DOWN & WE WILL ROCK YOU. Recorded @ ArtSound Studio 1 by Aryo Seto & Hardi. Mixed & Mastered @ArtSound Studio 3 by Aryo Seto. ​Videography @ P-Production by Piet Kalalo Sengkey. Recorded @ ArtSound Studio 2 by Hardi. ​Recorded @ ArtSound Studio 1 by Hardi. Recorded @ ArtSound Studio 1 & 2 by Aryo Seto & Hardi. Videography @ P-Production by Piet Kalalo Sengkey. BAMBOOCHESTRA, memainkan soundtrack Mission Impossible. Music Director & Conductor: Iman "Imanissimo" Ismar. 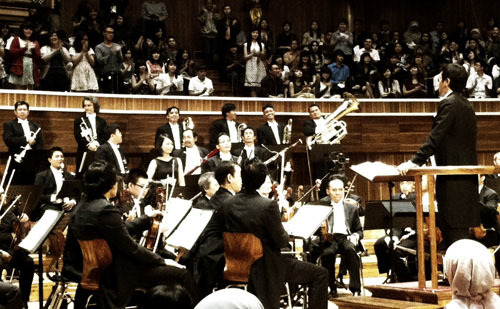 Video Trailer Konser "Across Generations" oleh Twilite Orchestra featuring Levi Gunardi. Recorded @ Balai Sarbini Jakarta by Aryo Seto & ArtSound Mobile Recording Team. Mixed & Mastered @ ArtSound Studio 1 & 3 by Aryo Seto. 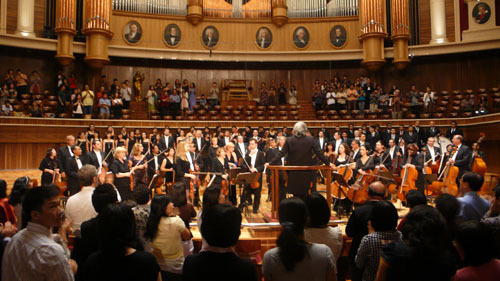 "Cantabile 2 Concert" by Twilite Ochestra. Recorded @ Aula Simfonia Jakarta by ArtSound Mobile Recording Team. "Harmony Night" by Dubrovnic Symphony Ochestra. Salah satu pianist muda berbakat Indonesia; VICTORIA AUDREY SARASVATHI. Produksi ArtSound Studio; ProArtHD Classical. •Location: ArtSound Studio Jakarta with Yamaha Baby Grand Piano GB1A-PE. •Audio Recorded by Aryo Seto & Hardi @ ArtSound Studio 1. •Mixed & Mastered by Aryo Seto @ ArtSound Studio 1 & 3. •Videography by Piet Kalalo Sengkey @ P Production. Salah satu pianist muda berbakat Indonesia; JENNIFER CHRYSANTHA SALIM. Salah satu pianist muda berbakat Indonesia; JANICE WIJAYA. Salah satu pianist muda berbakat Indonesia; FELISIEN. Salah satu pianist muda berbakat Indonesia; GLORIA TEO. CD Putri SMU Santa Ursula Jakarta, berisi 14 lagu dari semua kegiatan extrakurikuler yang ada. Marching Band @ St. Ursula's Outdoor Lap. Angklung & Kolintang @ St. Ursula's Little Chapel. Gamelan Jawa & Gamelan Bali @ St. Ursula's Main Hall. Lagu "Bendera" dari Kikan ex Cokelat. Live Recording @ ArtSound Studio 1, Juni 2012. Selamat Hari Kemerdekaan Republik Indonesia ke 67...!